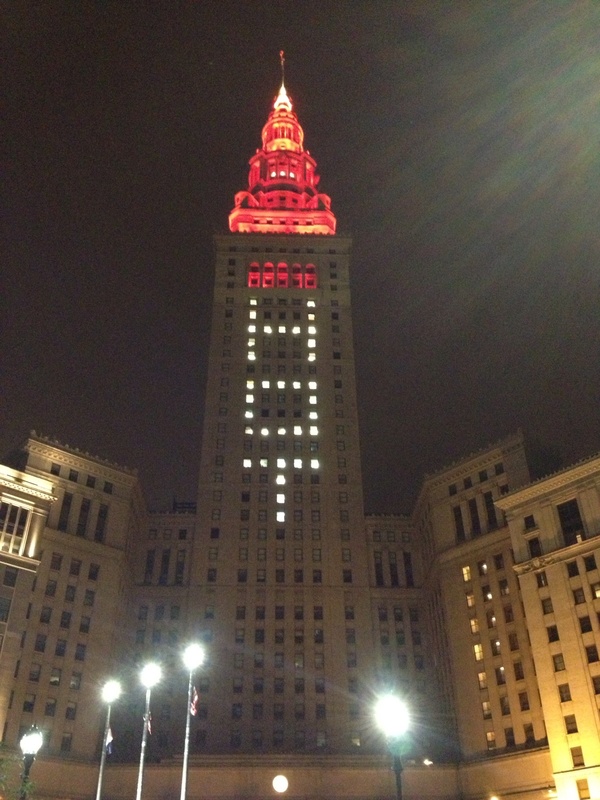 Terminal Tower (below) in downtown Cleveland celebrates live taping of Hot in Cleveland! Downtown town Cleveland celebrates Hot in Cleveland’s live show. Terminal Tower on Public Square. This entry was posted in Uncategorized and tagged Betty White, Cleveland, Downtown, Hot, in, live, Shirely Jones, show, summer, taping, Terminal, Tower, Valerie Bertinelli, William Shatner. Bookmark the permalink.